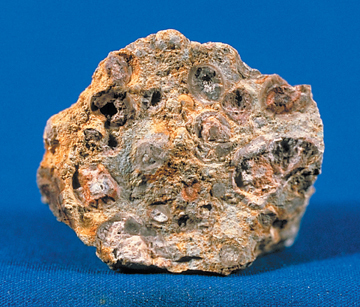 Bauxite has to be processed into pure aluminium oxide (alumina) before it can be converted to aluminium by electrolysis. This is achieved through the use of the Bayer chemical process in alumina refineries. The aluminium oxide is released from the other substances in bauxite in a caustic soda solution, which is filtered to remove all insoluble particles. The aluminium hydroxide is then precipitated from the soda solution, washed and dried while the soda solution is recycled. After calcination, the end-product, aluminium oxide (Al2O3), is a fine grained white powder. First, the bauxite ore is mechanically crushed. Then, the crushed ore is mixed with caustic soda and processed in a grinding mill to produce a slurry (a watery suspension) containing very fine particles of ore. The slurry is pumped into a digester, a tank that functions like a pressure cooker. The slurry is heated to 230-520°F (110-270°C) under a pressure of 50 lb/in 2 (340 kPa). These conditions are maintained for a time ranging from half an hour to several hours. Additional caustic soda may be added to ensure that all aluminum-containing compounds are dissolved. The hot slurry, which is now a sodium aluminate solution, passes through a series of flash tanks that reduce the pressure and recover heat that can be reused in the refining process. The slurry is pumped into a settling tank. As the slurry rests in this tank, impurities that will not dissolve in the caustic soda settle to the bottom of the vessel. 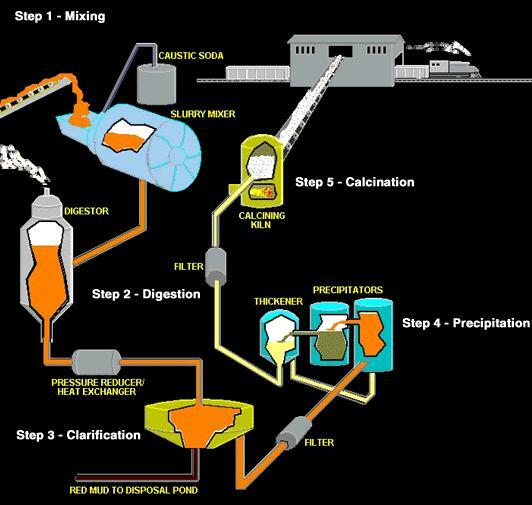 One manufacturer compares this process to fine sand settling to the bottom of a glass of sugar water; the sugar does not settle out because it is dissolved in the water, just as the aluminum in the settling tank remains dissolved in the caustic soda. The residue (called “red mud”) that accumulates in the bottom of the tank consists of fine sand, iron oxide, and oxides of trace elements like titanium. After the impurities have settled out, the remaining liquid, which looks somewhat like coffee, is pumped through a series of cloth filters. Any fine particles of impurities that remain in the solution are trapped by the filters. This material is washed to recover alumina and caustic soda that can be reused. The filtered liquid is pumped through a series of six-story-tall precipitation tanks. Seed crystals of alumina hydrate (alumina bonded to water molecules) are added through the top of each tank. The seed crystals grow as they settle through the liquid and dissolved alumina attaches to them. The crystals precipitate (settle to the bottom of the tank) and are removed. After washing, they are transferred to a kiln for calcining (heating to release the water molecules that are chemically bonded to the alumina molecules). A screw conveyor moves a continuous stream of crystals into a rotating, cylindrical kiln that is tilted to allow gravity to move the material through it. A temperature of 2,000° F (1,100° C) drives off the water molecules, leaving anhydrous (waterless) alumina crystals. After leaving the kiln, the crystals pass through a cooler. Suspended above each cathode are several closely arranged carbon blocks that serve as the anode (positive electrode). 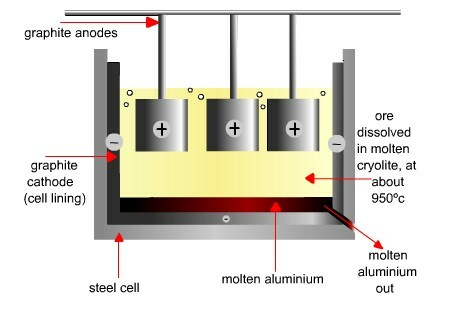 The anodes are suspended by rods in the bath of molten electrolyte in which the alumina is dissolved. Each pot consists of a steel shell that is lined with refractory and carbon blocks to serve as the cathode (negative electrode). Cryolite, the predominant constituent of the electrolyte, is a sodium aluminium fluoride salt which, when held molten at a temperature of around 960°C, can dissolve alumina. To sustain the electrolytic process, alumina is fed into the pots at regular intervals to maintain a sufficient quantity of dissolved alumina in the bath. The process is controlled by a computer that detects and interprets minute changes in electrical resistance and determines when to feed alumina to the pot. 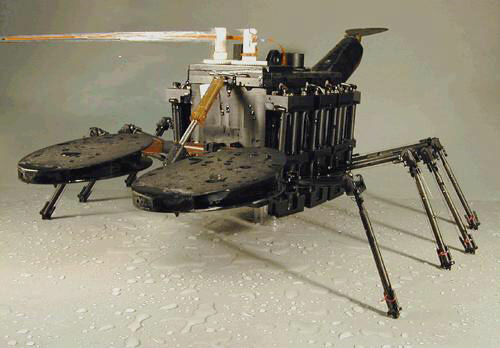 As the carbon anode is gradually consumed, it is periodically lowered to maintain the optimum distance of ±5cm between the anode and cathode surfaces. For each ton of aluminium produced about 430 kg of carbon is consumed. A continuous supply of anodes is manufactured at both smelters in dedicated carbon plants that comprise paste plants, carbon bake furnaces and rodding shops. In the paste plants, carefully crushed and graded fractions of calcined petroleum coke and recycled anode butts are heated and mixed with molten pitch. The hot mixture is then compacted into blocks called green (unbaked) anodes. At Hillside, each anode weighs about 836 kg; at Bay side the anodes weigh about 624 kg. 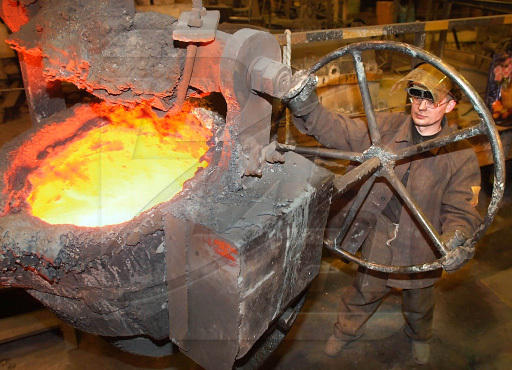 Approximately 400 000 anodes are produced each year for both smelters. The green anodes are transferred to the carbon bake furnaces where they are heated in deep brick-lined pits to around 1 100ºC over a period of 21 days. This baking process calcines the binding pitch and ensures that the anodes have good thermal and electrical conductivity. Exhaust manifolds collect waste gases and carry them to the fume treatment centre. After baking, aluminium rods are attached to the anodes and sealed with cast iron. The rod suspends the anode in the pot and acts as an electrical conductor.5. After the rods are attached, the anodes are delivered to the pot rooms for positioning in the pots. Some 27 days later, the remains of the anodes, known as butts, are returned from the pot rooms and recycled. The rods are also reused.